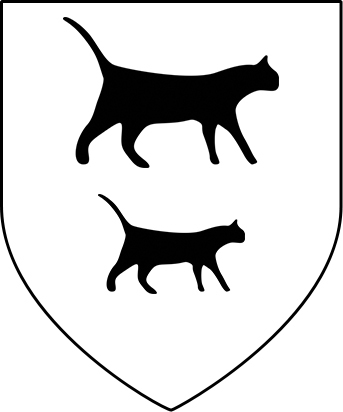 The sigil of House Stark in the TV series Game of Thrones. The TV series Game of Thrones, and the book world of A Song of Ice and Fire generally, place great importance on heraldry and family. House Stark’s motto (or simply “their words”) is “Winter is coming”, House Lannister’s is “Hear me roar”, House Greyjoy’s is “We do not sow”. They serve to distinguish families from one another and often are a concise statement of what the family’s concerns are: the Starks urge one to be prepared, the Greyjoys show their contempt for farmers and the like, for instance. 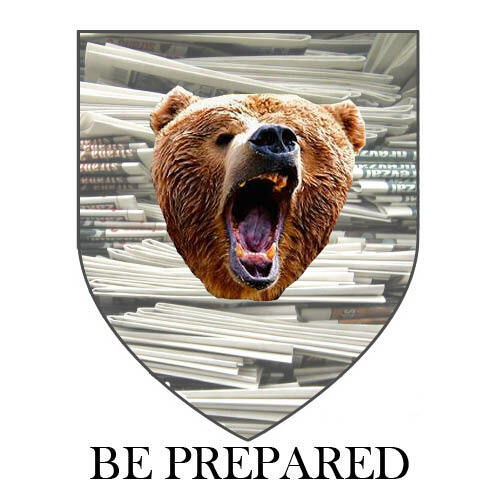 George RR Martin is fascinated by heraldry, perhaps too much so. It works for his series, though, because it builds a complex and realistic world. He’s drawing on medieval Europe here, which had a very complex set of rules governing what could or couldn’t be on a family crest, although the book series doesn’t follow such rules. All families are concerned with heraldry, though, and individuals often have their own crests (or sigils, as they are called; and the ones shown in the TV series do not necessarily match those described in the books). Others might have a crest assigned to them by a more highborn lord, which is probably quite realistic too. There’s a full series on Westerosi families here, but as it’s based on the books be warned that many a spoiler lurks within. The impending arrival of my younglings has had me dwelling a lot on family. It’s not actually a new interest/fascination. I’ve always taken family seriously, and certainly after it dawned on me some years ago that if I had no sons my particular family line could be kaput – I have no brothers and my sister has no children yet. That worried me in my own head for a while, worried me in a vague sort of way at least. I don’t know why. Families come along in their own time and I certainly don’t feel particularly old. 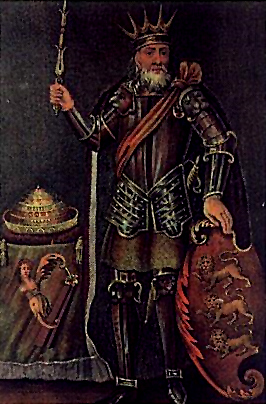 Brian Boru probably did not look like he did in this 18th century engraving. When I was a teenager I became fascinated by family history. I know bits and pieces of my own heritage – one grandfather was an architect, the other built cars and later ran a dock, for instance. Game of Thrones and its obsession with family seems to have reawakened that interest. Generally speaking, my family seems to be descended from Mathghamhain, either the brother or nephew of Brian Boróimhe (I’ve read both at various times but haven’t made any serious genealogical study). For a youngster like myself, having some sort of tangential connection to a great historical figure such as a high king was, without a shadow of a doubt, cool. Any touristy genealogy stuff seems certain of it, but putting on my medievalist’s hat I tend to look somewhat cynically on such claims now, given that for centuries families across the world have claimed descent from legendary or mythical figures. Still, somewhere along the way was somebody called Mathghamhain (it means “bear”) and I am his descendant. As you’ve probably guessed by now, I like connections to the past, and having some of my own fascinates me; perhaps when I am older or have more time I will conduct a more in-depth study of my own family line. The family crest also intrigued me, and I have no idea how it came about. Strictly speaking, I can’t use it, as I am not the head or heir apparent of the main line. I believe that is some guy in Orleans, presumably descended from one of the many Irish who left the country after the Battle of Kinsale and subsequent Flight of the Earls. The O’Mahony Society has its own crest. I’ve also come across two variations of the family motto, which wouldn’t be uncommon in history as different branches might adopt different stances or crests/mottoes depending on their individual circumstances. The one I came across first translates from Irish as “the burning torch to victory”, though this list of Irish mottoes only lists the other variation, which translates from Latin something like “thus we guard our sacred things”. My Latin is very rusty, though. Irish heraldry is somewhat complicated by the country’s history, with some coats of arms awarded after conquest by the English and others possibly dating to before that. The system of surrender and regrant, where Irish kings and lords swore fealty to the English crown and were given back their lands under new titles, such as earl, is probably a factor in this but I cannot say for certain. It’s not an exaggeration to say that almost all Irish people are descended from a king, as there were more than 100 across the island at one stage. Plus every Irish family had different septs (branches that held their own lands) so that adds an extra layer of complexity. Some will have Norman heritage (or Cambro-Norman), some will have Scottish, and various other backgrounds too. It’s all relevant or, perhaps more accurately, it’s all as relevant as you want it to be. 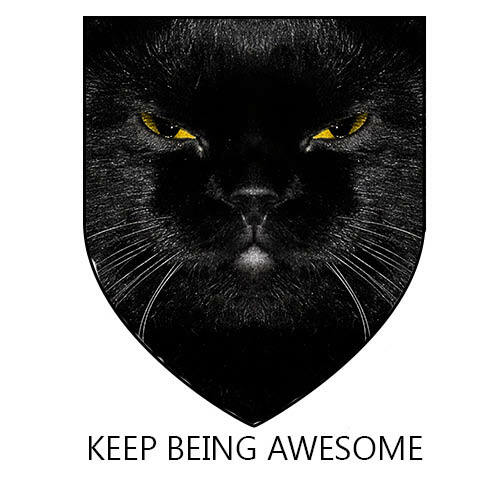 Some weeks ago I found myself wondering idly what I would do if I were in the position to create my own family crest and motto (as the Game of Thrones cast do in the video above). It’s possible, through the office of the chief herald, though I understand it costs a small fortune and I can’t see any that have been granted in the past few years so that could be defunct. It’s probably a bit pretentious, though it’s not like I’m trying to forge a dynasty or anything. I suppose it’s the idea of being able to forge one’s own destiny/heritage which caught my attention. What would I want to depict, and what would I want to say? Here’s what I’ve come up with on the right, based variously on the facts that I like cats, have “bear” as a surname, and work in newspapers. It just got me thinking about whether or not the words and sigils passed down through history are still relevant to me directly. Do I want my children to recognise their past and honour it in some vague way, or would I prefer them to start afresh? The truth is somewhere in between. The overall crest has a lot of historical relevance and is part of their (and mine) heritage. My wife is an O’Leary and her family is of similarly ancient lineage, so our little ones will have that heritage too. I look forward to seeing what they come up with. This entry was posted in Personal and tagged family crest, george rr martin by David O'Mahony. Bookmark the permalink.